As the follow up to Take Me, Break Me, Klaus and Jody find their relationship in dire jeopardy as one night and an error in judgment cause them to do something they never thought they could do. Where Jody’s capture fantasy was consensual on both parts, they take on another against her will. Using the extreme edges of Dominance, Klaus begins breaking her down, but where does Jody fit in? She has evolved allowing her switch tendencies to come forth. Jody and her pet explore alone and with Klaus the darkest corners of their psyches. Who would have expected that in amongst the fear and pain a bond of need and want would blossom between Klaus and his new toy. The only limits are that of Klaus’ imagination and boy what a playground it is. Dubcon/noncon…the lines are blurred and flowed effortlessly as pet succumbs to Klaus and Jody, who are both growing in their own relationship. 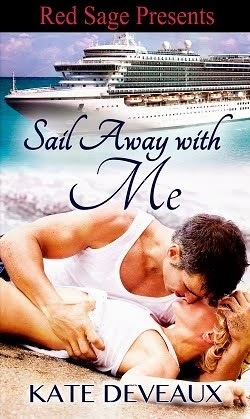 When their safety is threatened, Klaus and Jody have a decision to make…free their captive or keep her forever? I remember Cari’s initial concern surrounding this book and if anyone would read a dark capture fantasy that pushed every limit possible, but as part of her street team we all encouraged her. And, well…..as ususal she didn’t disappoint us or you. I fell in love with Klaus and Jody right away, like an addiction that was satisfied until I reached the last page only to be left needing more. Again, I feel the same way. What’s next for them?